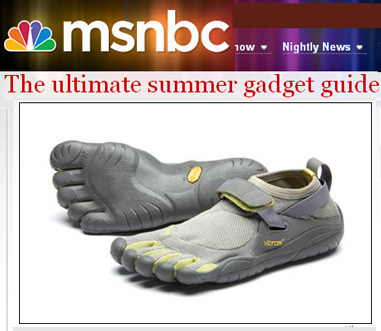 A story I wrote last week on new summertime gear and gadgets was picked up by MSNBC and ForbesTraveler.com. The story, which highlights gas-powered margarita blenders (no joke) to watches that predict the weather, is about as over-the-top as I can go. Did I mention the tent from Eureka with fans, lights and outlet plugs. . .